As many of you know I’m a professional Aikido Teacher. In my 20 plus years of training I have traveled, trained and taught Aikido all around the world. 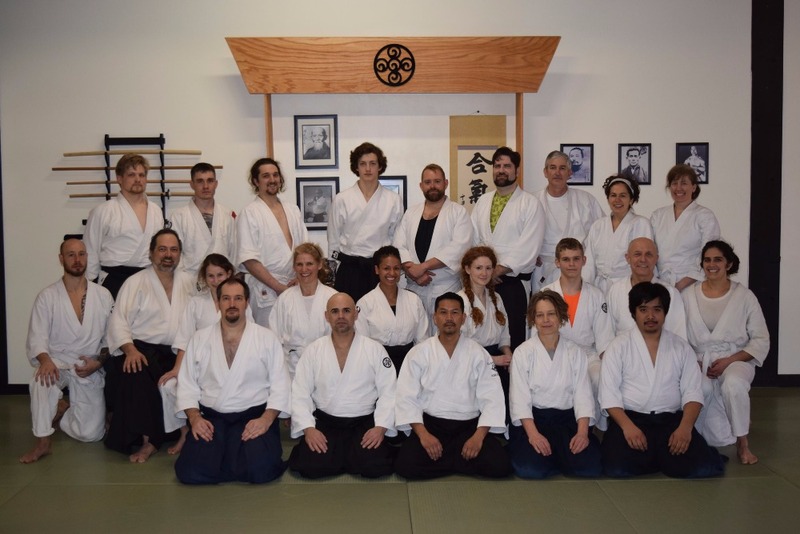 I have never had a bad experience in the Aikido community. Some situations leave an impression on you and in your heart. Last year I visited Cuba and trained with men, women, and children who live there. The energy and spirit they bring to the mat is endearing. Their economic situation is difficult to say the least. This makes the fact that they still train passionately in dojo’s with hand made mats even more meaningful. The weapons that most members had were handmade, some were even just branches with the twigs cut off. A good majority of the students had homemade uniforms, hakama, and belts. Most of the uniforms and materials had been donated through a fundraiser by our friends in the USAF. Now it’s our turn to pitch in and help. Training with sticks and handmade weapons is certainly not the worst thing in the world but there are dangers involved. Those of you who are Aikidoists have seen weapons get broken during training. For those who haven’t it’s very dangerous. We swing at each others heads and it is easy for debris to fly into the eyes and slivers to become embedded in your hands when training weapons break. We have set a goal to raise $5,000 in the next 2 months. I’m asking my friends and family to be generous. Give SOMETHING. If you aren’t in a position to give then please share our event and personally ask your friends and family to chip in. Here in the US we spend $40 on dinner for 2, a bar tab or going to the movies. $40 is more than most Cuban people make each month. So please, skip one night out and make a difference in someone’s life. Help them train safely and confidently. Today’s students become tomorrows leaders in the Aikido world. The energy we put out into the world always comes full circle. Many of our members have donated items or services which you will be eligible to receive for your donation. I will list the items on our Facebook page. They are available first come first serve. Just note the item you would like in an email or Facebook message to me. Those who make donations will be listed here and on our Facebook page unless you choose to remain anonymous. There are more details listed below. My name is David Mata. I am the Chief Instructor at Grand Rapids Aikikai and the Founder of the Kyoseikan Dojo in Grand Rapids, MI. My dojo is a member of Birankai North America, founded by T.K. Chiba Shihan, and is affiliated with the Aikikai Foundation ( the Aikido World Headquarters in Japan). 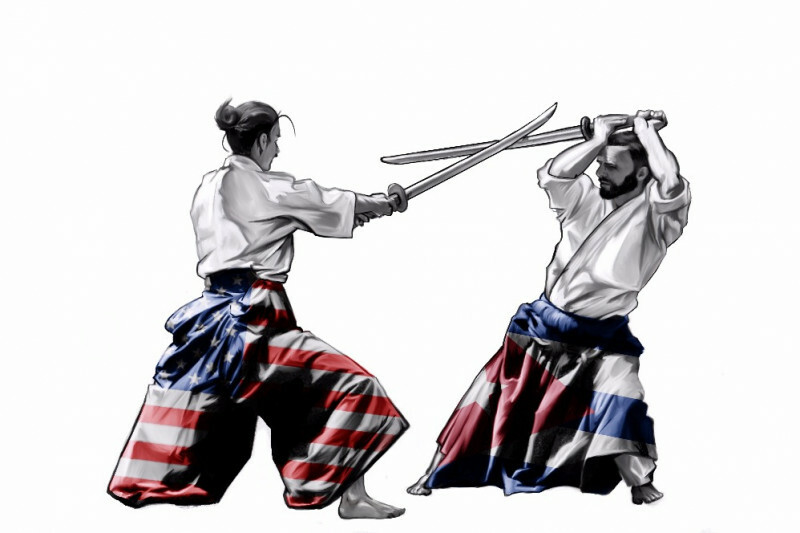 Here at Grand Rapids Aikikai, we along with Alameda Aikikai have begun an effort to raise funds for members of the Cuban Aikido Association (Asociación Cubana de Aikido). The CAA consists of about 3,000 men and women, ages 5-80. The CAA is a member of Sansuikai under the direction of Yoshimitsu Yamada Shihan. The funds collected will be used to purchase and deliver 30 sets of quality Aikido training weapons to the 3 senior teachers (Omar Lam Sensei, Angel Sanchez-Mata Sensei, & Ricardo Garcia Sensei) of the CAA. Each teacher will receive 10 Jyo, 5 Basic Bokken and 5 Heavy Bokken to be used in their dojos in and around Havana, Cuba. These weapons will be purchased fromNippon Budogu . Our gratitude goes out to Giovanni Maida at Nippon Budogu for his gererous discount for this event. We are partnering with Alameda Aikikai in this effort. Elmer Tancinco will be teaching a fundraising seminar here in Grand Rapids in an effort to raise funds toward our goal. Thanks Tancinco Sensei! See all of you Aikdo practitioners April 1st and 2nd. Just about 500 to go! Here is the orddr form for thise who would rather purchase a Tshirt as part of their donation!. 645 to go! Thats amazing. We are almost there! $870. to go!! Please post or re-post this event. We are getting down to the end here. Help us finish strong! If you have $10. you can spare that would be great if you have more to share we won't complain about that either! Sorry it has taken us so long. Our lives have been crazy. Good luck in Cuba! Best wishes for aiki training in Cuba !! Goodluck on you worthwhile activity.